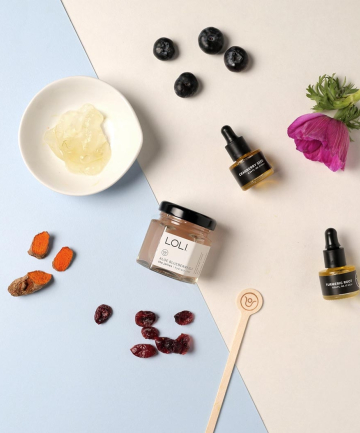 LOLI Beauty LOLI Beauty, which stands for Living Organic Loving Ingredient, is a clean and green beauty brand that offers customized skin care products. They operate under the premise that your skin changes constantly — sometimes on a daily or monthly basis — so offering custom-made products to tend to your of-the-moment needs is the brand's number one priority. It's set up similarly to Belle Bar in the sense that you choose a potent, highly effective base and then combine it with two or three single-note ingredients from its Raw Collection. For example, let's say you're looking for a gentle exfoliating scrub that deeply nourishes and hydrates your skin. You'd start with the Purple Corn Grains base, then add the Prickly Pear Seed Oil and Rose Water. When you're ready, combine to create a paste and apply. The website has some recipes laid out with the option of buying each of the products you need for it with one click. These can also provide some inspiration for your own recipes. Of course, you can also read information about each of the bases and mix-ins on the website to make informed buying decisions. There's a wide range of prices and each product allows for multiple uses.